Roasting the perfect holiday turkey is a cinch. 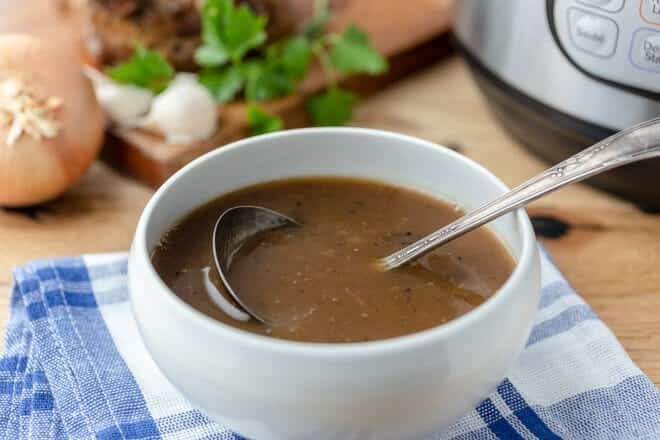 You just need to know a couple of steps that I happily share in this post so it comes out juicy and flavorful. Once upon a time, my technique for cooking a juicy turkey for the holidays was based upon a wish and a prayer. Happily, I have learned four steps that result in a perfectly roasted, juicy turkey every time. Yes, even the white meat. 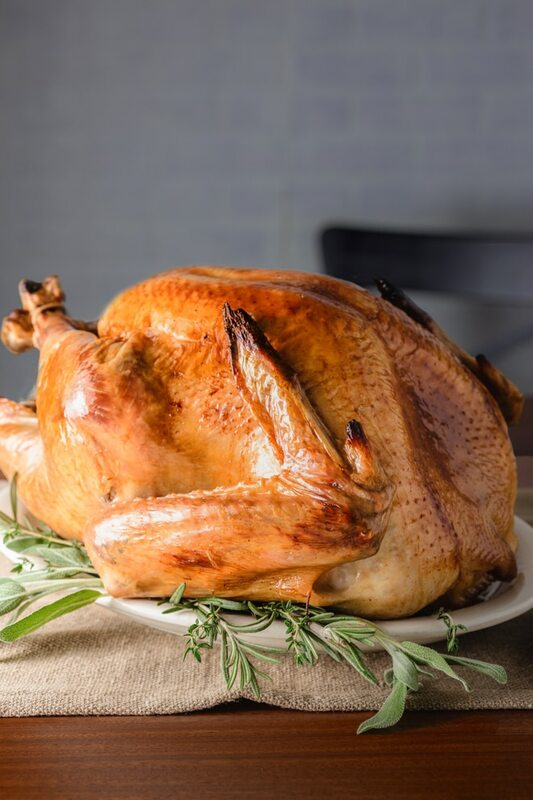 Before we talk about those steps, it is important to choose a bird that will feed all of your guests, fits your budget or address personal concerns about how the turkey was raised. 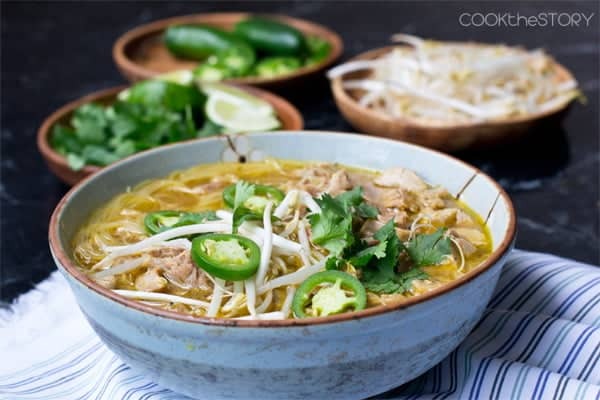 If you are anything like my family, it is necessary to have leftovers to make turkey pho, turkey sandwiches or turkey omelets. As a general rule, 1 1/2 pounds of bone-in turkey will feed one person and provide leftovers. If you are not a leftover family, 1 pound of bone-in turkey will be your mathematical formula. 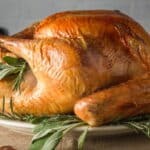 The Kitchn has a wonderful resource that addresses budget, fresh vs. frozen, and how to identify the different types of turkeys and how they are raised. Now, on to the steps. 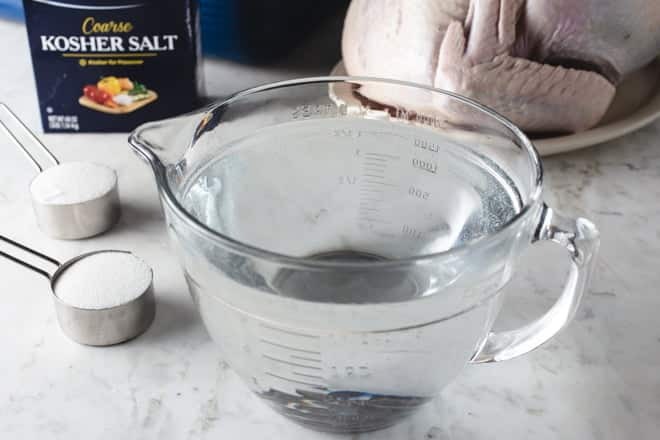 STEP #1: Brine your turkey. If you are not familiar with brining, click over to the How to Brine post for the ins and outs. Now brining a 12, 16, or 18-pound turkey does present a size issue when it comes to the vessel that you use. I have found that a medium-sized cooler is perfect. If you have one with a drain spout, even better but not necessary. Make sure that the cooler is clean by washing with soap and water and rinsing thoroughly. Nobody likes soapy turkey. In your clean cooler add 8 cups of hot tap water, 2/3 cup of sugar, and 1 pound of kosher salt. I advise against iodized salt as it adds a metallic taste to the meat. Stir to dissolve all of the crystals. Add 8 pounds of ice and an additional gallon of water. Place the turkey in the brine breast side up. The solution must cover the turkey completely. If it doesn’t, add enough water to cover. If the turkey floats, you can use a resealable gallon bag filled with water to weight it down. 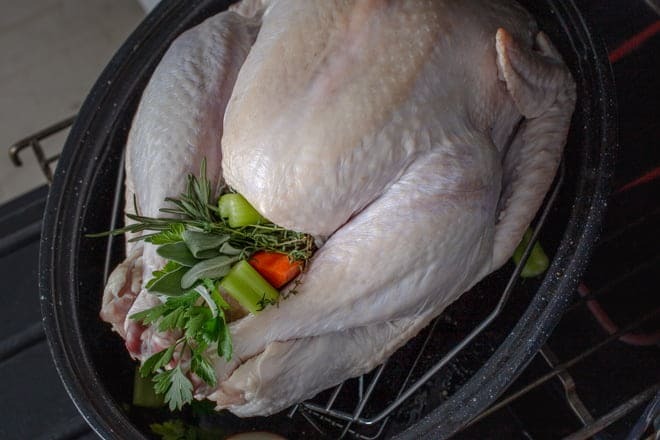 Allow the turkey to soak in the brine for 8 – 12 hours. NOTE: It is important that the brine remains at 40˚F. You can check it with an instant-read thermometer. 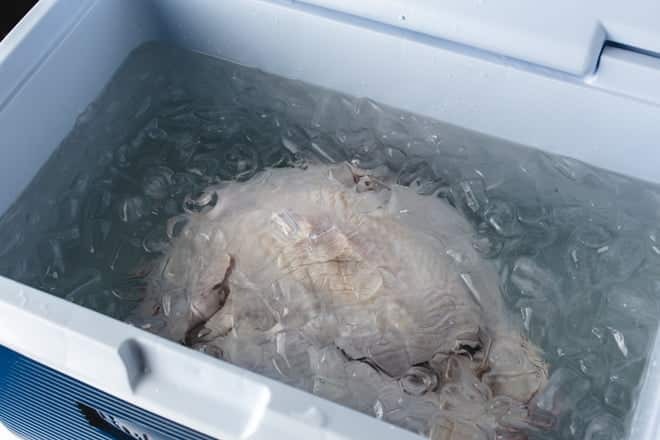 If you need to cool the brine, add freezer packs or ice that you have placed in resealable plastic bags. 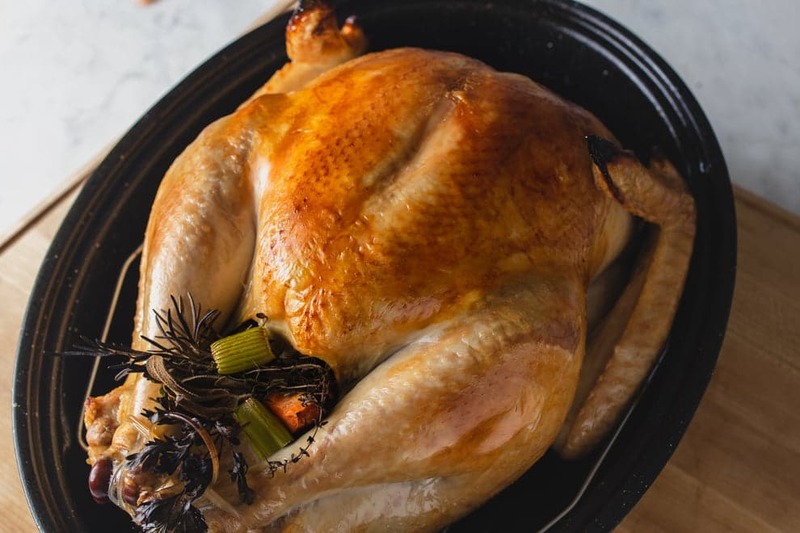 Alternately, if you would rather not brine the turkey, you can purchase a Kosher turkey which has been pre-salted. 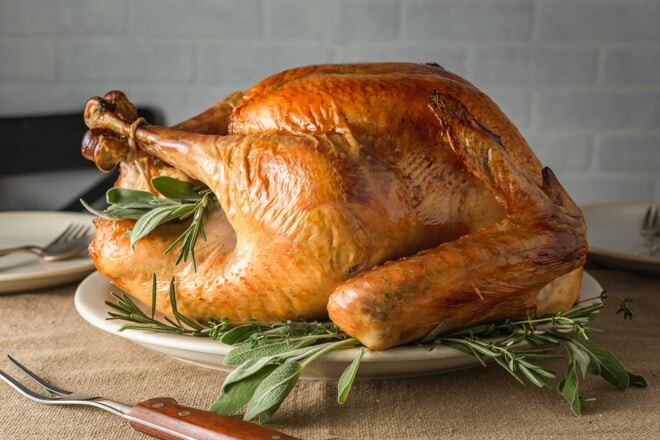 TIP: Dry the turkey with a paper towel after it has been removed from the brine. If you opt not to brine, it is still important to pat the skin dry. STEP#2: Don’t stuff the turkey. I know to some this may seem sacrilegious. I understand. But really, don’t stuff the turkey. There are two very good reasons not to stuff the turkey. The first is that filling the cavity of the turkey with dense stuffing slows the cooking. The longer the turkey has to stay in the oven, the drier it will become. And the second is that stuffing must be cooked to a temperature of 165˚F, which results in the breast being overcooked. I infuse flavor into the turkey by loosely placing aromatics into the cavity. I like to use an onion, two stalks of celery and two carrots that have all been roughly chopped and a bundle of fresh herbs like parsley, thyme, sage, and rosemary. Just remember not to overstuff. Don’t despair, this doesn’t mean that you can’t have stuffing. It just means that you cook your stuffing in a baking dish separate from the turkey. Which by definition, now becomes dressing. 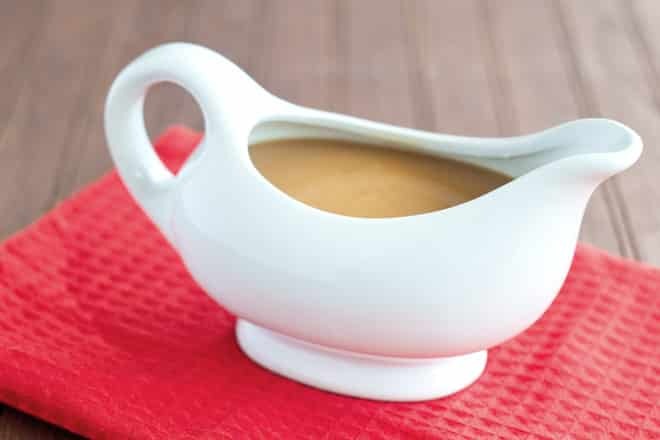 The internet is full of great recipes for dressing, but this one from Ina Garten is one of my favorites. 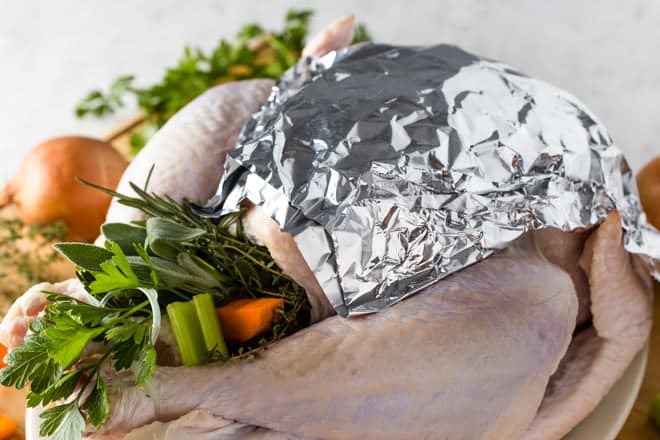 TIP: Fashion a heat shield from aluminum foil before the turkey goes into the oven to protect the breast from overcooking. Tear a sheet of aluminum foil large enough to fold in half and cover the breast. 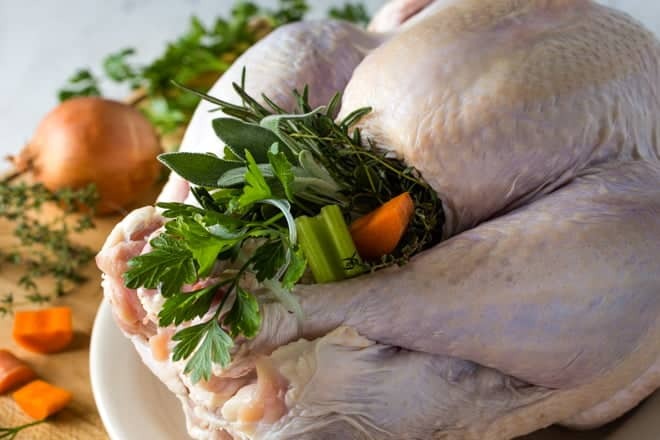 Mold it to the shape of the breast, remove it and spray the underside – the side that will be touching the turkey – with cooking oil and set aside. STEP #3: Cook the turkey at two different temperatures. The intent of the first temperature is to create a nicely browned skin and the second temperature cooks the meat to juicy perfection. Starting the turkey in a very hot oven (500˚F) results in the fat under the skin cooking quickly creating that beautiful crispy, brown skin. This generally takes 30 minutes depending upon your oven. After 30 minutes, the breast should be nicely browned. If it isn’t set the timer for another 10 minutes. Once the turkey has been successfully browned, remove it from the oven and cover the breast with the aluminum foil heat shield. If you have a probe thermometer, insert the probe through the foil shield and into the thickest part of the breast. I highly recommend one. Reduce the oven temperature to 350˚F and return the turkey to the oven. I set the thermometer to go off at 160˚F because I know that the turkey will continue cooking after it has been removed from the oven and that the final temperature of the breast will be around 165˚F. When the thermometer goes off, check that that thigh is at 175˚F and remove from the oven. As a rule of thumb, plan on 9-11 minutes of cooking time per pound of turkey once the oven temperature has been reduced and the turkey has gone back in. STEP #4: Let the turkey rest. Don’t skip this step. You have done great work to get to this point. If you skip this step I can’t guarantee the wonderfully juicy holiday turkey I promised at the beginning of the post. Allow the turkey to sit for 30 minutes so that the juices have time to redistribute into the meat. Congratulations! You did it. 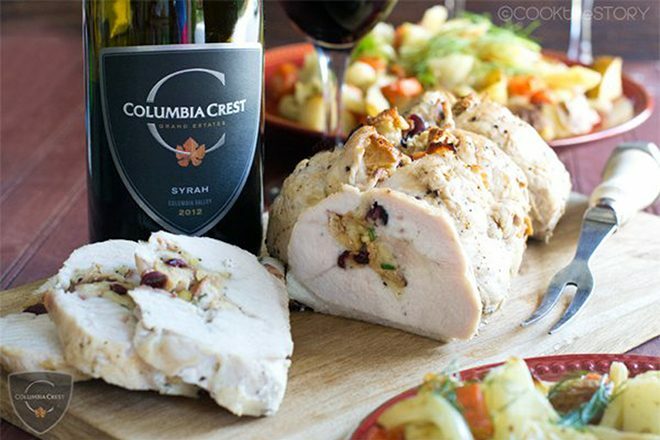 You have a perfectly roasted turkey ready to carve and serve to your guests. Thaw turkey if frozen. Allow 1 day for every 2 pounds of turkey. Eight to twelve hours prior to cooking, combine the hot water, sugar and salt in a medium-sized cooler. Stir to dissolve completely. Add the ice and cold water. Place turkey in the brine covering completely. If required, add more cold water to cover. If the turkey floats, weight it down with a resealable plastic bag filled with cold water. Brine for 8 – 12 hours. Check the temperature of brine to ensure 40˚F is maintained. If required, chill the brine by adding cold packs or ice placed in resealable plastic bags to the brine. Remove the turkey from the brine and pat dry with paper towels. Loosely fill the cavity of the turkey with onion, celery, carrot and the herb bundle. Fashion a heat shield from aluminum foil large enough to cover the breast when folded in half. 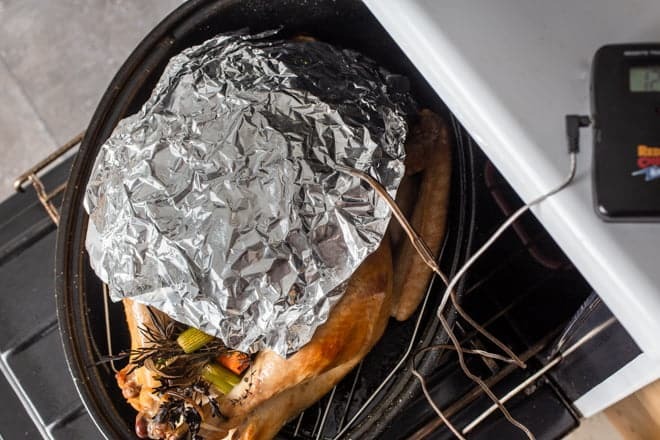 Place aluminum foil over breast and form around the breast. Spray the underside of the shield, the side that will be in contact with the turkey beast, with cooking spray and set aside. Place the turkey (without the heat shield) in the oven and cook for 30 minutes. Check that the skin on the breast is evenly browned. If not cook for another 5 – 10 minutes. Remove the turkey from oven when evenly browned. Reduce oven temperature to 350˚F. Place the heat shield over the breast, insert a probe thermometer through the aluminum foil into the thickest part of the breast and place the turkey back in the oven. Set the probe thermometer for 160˚F. When thermometer has reached 160˚F and the thigh meat is at 175˚F, remove the turkey from the oven and allow to rest for 30 minutes.